Come along with Michael R. Zimmerman, M.D., Ph.D., on a trip through time and geographic space. The journey will begin with ape-like creatures that turned onto a unique road in eastern Africa some four to five million years ago and end with some predictions for the coming centuries and millennia. Will we become half-human, half-computer? Will our brains become smaller as we turn over more intellectual and memory functions to computer chips? Will we follow the course of over 99% of all species and become extinct? Hear what Dr. Zimmerman has to say about these intriguing questions on Tue., Apr. 14, from 1:00 to 2:30 p.m. in Falvey’s first floor lounge. Dr. Zimmerman’s research in paleopathology, the study of the evidence of disease in ancient remains, has resulted in numerous publications and speaking engagements. His work has also been seen on the History Channel and Fox News. 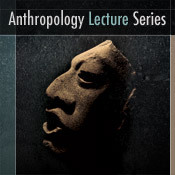 The presentation is part of the Fourth Annual Anthropology Lecture Series, “The Science of Humanity: Tongues, Stones, and Bones,” sponsored by Falvey.